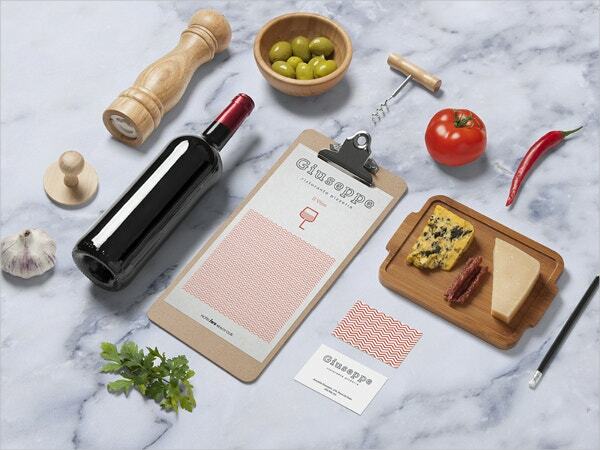 You cannot run away from the need to design menu templates at a given point in time. Birthdays, weddings, graduations and anniversaries are events that demand proper planning. 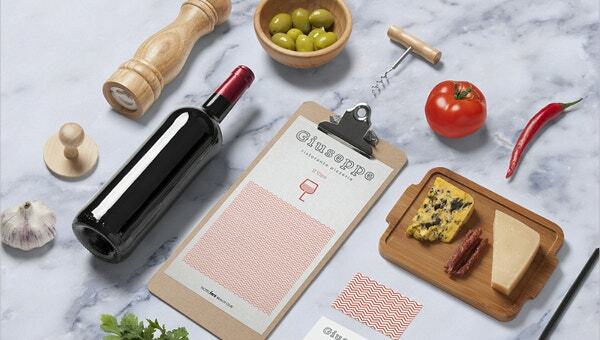 You want to offer a flawless dining experience to your guests just like the bar and restaurant owners strive to please their clients with elegant menus. 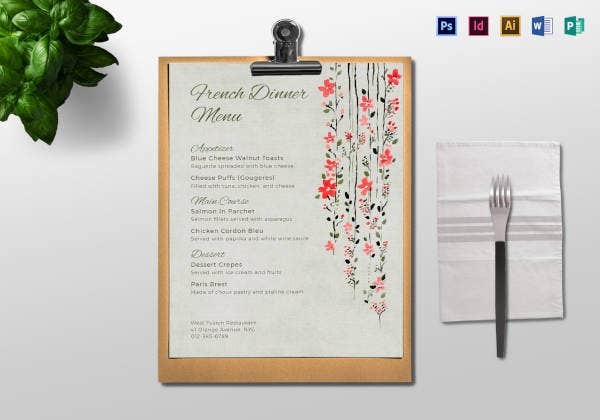 Design menu templates. 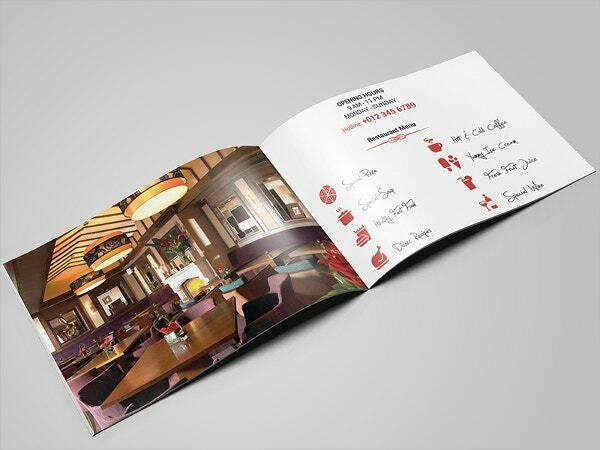 offer menu, brochure, flyer and card designs that you might want to use when planning for any event including daily operations of your cafe. 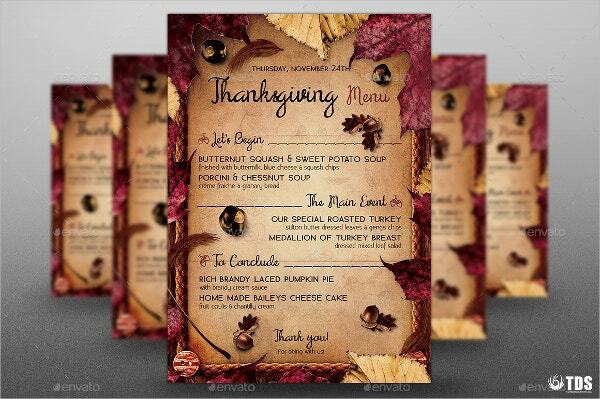 This template is designed through Photoshop and it is a print-ready thanksgiving menu template. 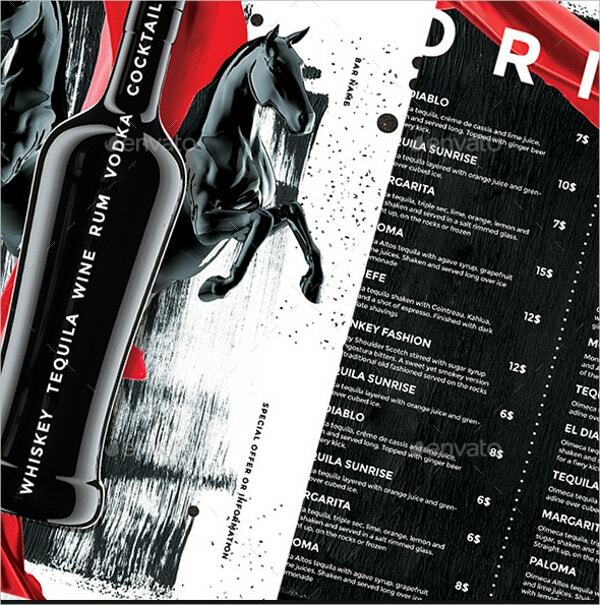 It is fully layered and organized for simple customization and printing on A-4 sized paper with CMYK color mode and with a high resolution of 300 dpi with bleeds. 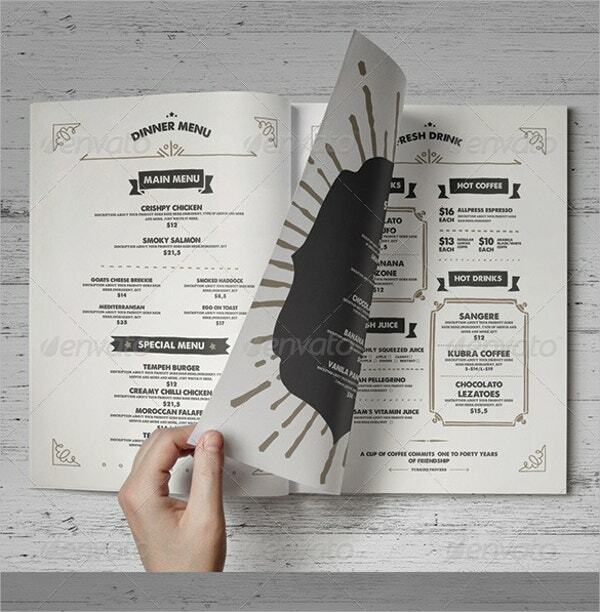 The rustico menu template comes in eight A-4 sized pages with a back and white front cover. This trifold card features two designs with customizable images, texts, free fonts and unlimited CMYK colors with bleeds. 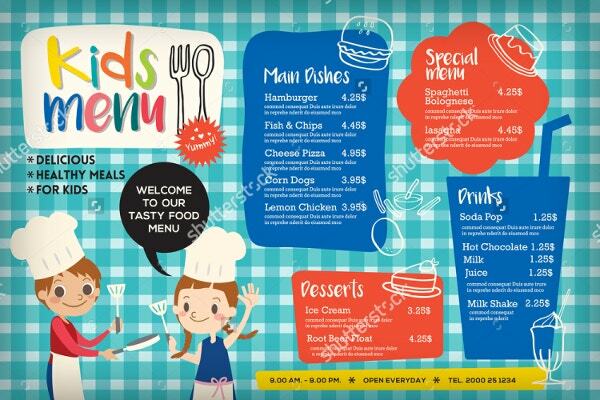 It is available in several sample sizes and high resolution, it is a classic, cute colorful kids meal menu. 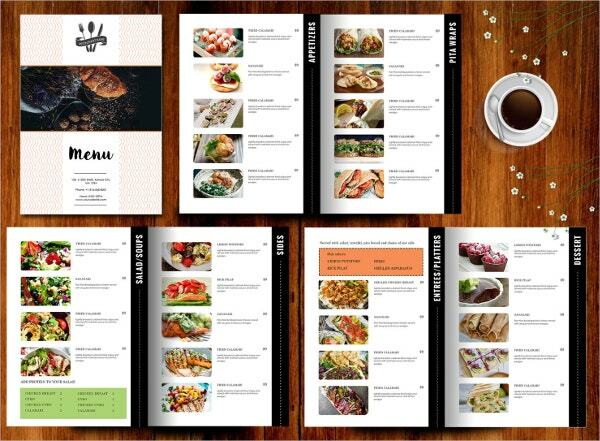 You can customize, edit and print your main dishes, special, menus, drinks and desserts. 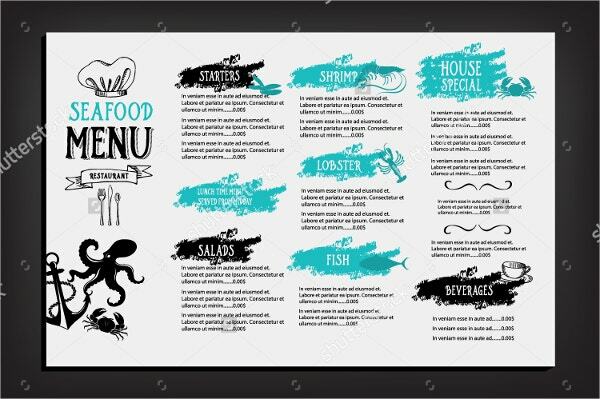 The printable food menu template features an easy to customize professional layout that depends on Adobe Photoshop CS and illustrator for further customization. This tri-fold poster in black and white comes in A-4 & US letter sizes. This inspiring coffee menu and flyer suits bakeries. It features a single A-4 page, layered files, flat graphics and editable texts, prices and free fonts in its PSD format for download. 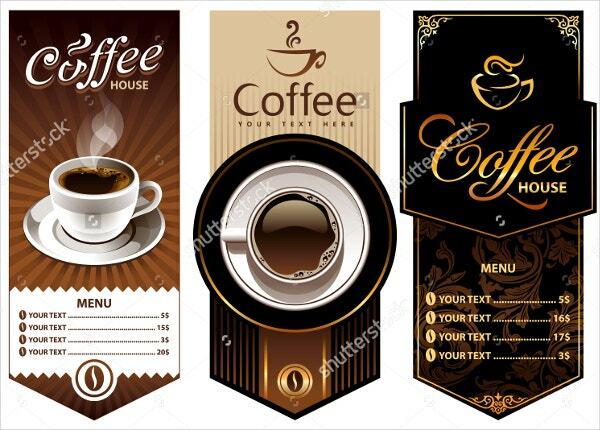 You can edit the images of these elegant three coffee design templates that come in a variety of colors as well as sizes using Shutterstock Editor. These vector banners contain grouped elements. 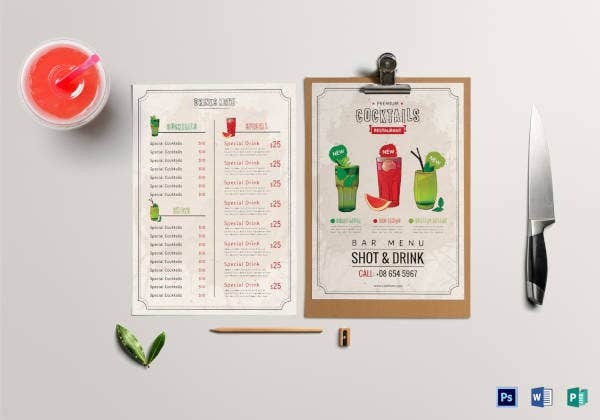 Drinks menu template for bars and restaurants utilizes free fonts, 300 dpi resolutions and CMYK colors. 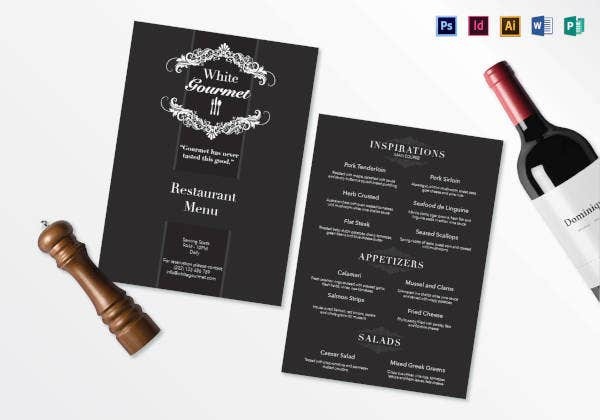 This US letter and A-4 sized document with 0.25 bleeds contains editable PSD files, title and menu pages. You can also See Pub Menu Templates. 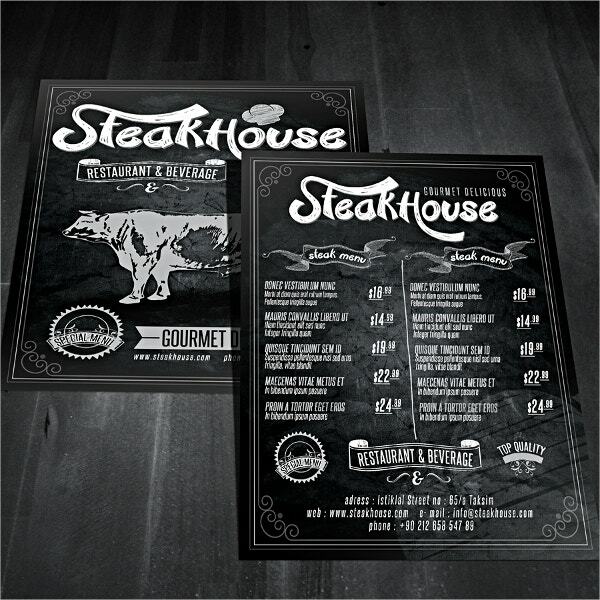 The fully editable vintage restaurant flyer contains free fonts, 300 dpi, 0.3 bleeds and CMYK colors in its print ready format on US Letter paper sizes. It is layered and it requires Adobe CS4+ for customization. 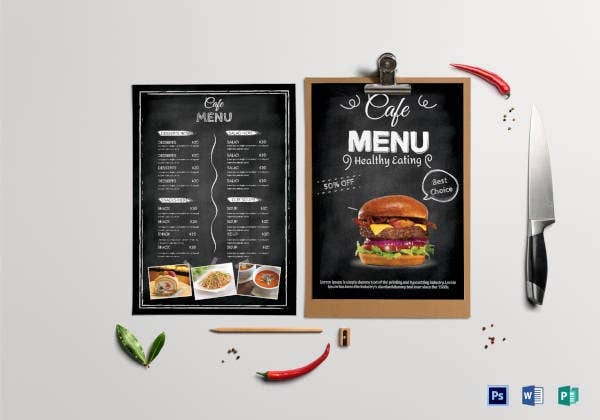 Restaurant café menu template for eateries and parties features chalkboard calligraphy in a patterned background. You can edit its illustrations, content and images to suit brochures, cards and flyers for printing and mailing. 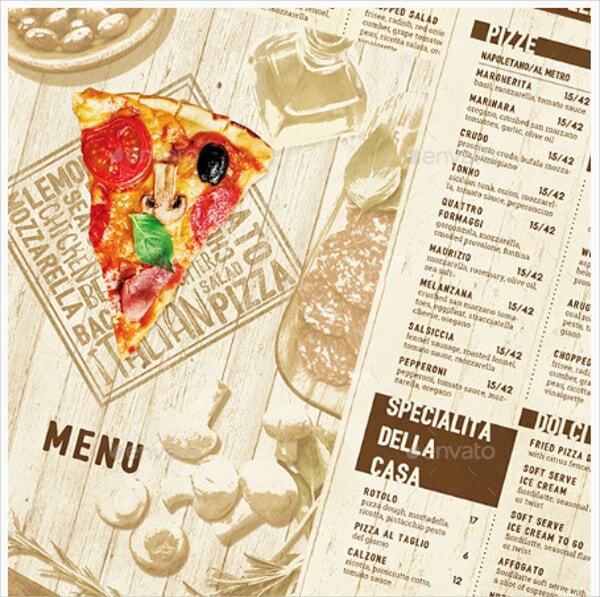 Designed for printing in A-4 and US letter sizes is the Pizza Menu Template that contains four editable PSD files, images, CMYK color mode, 300 dpi, 0.25 bleeds and free fonts. 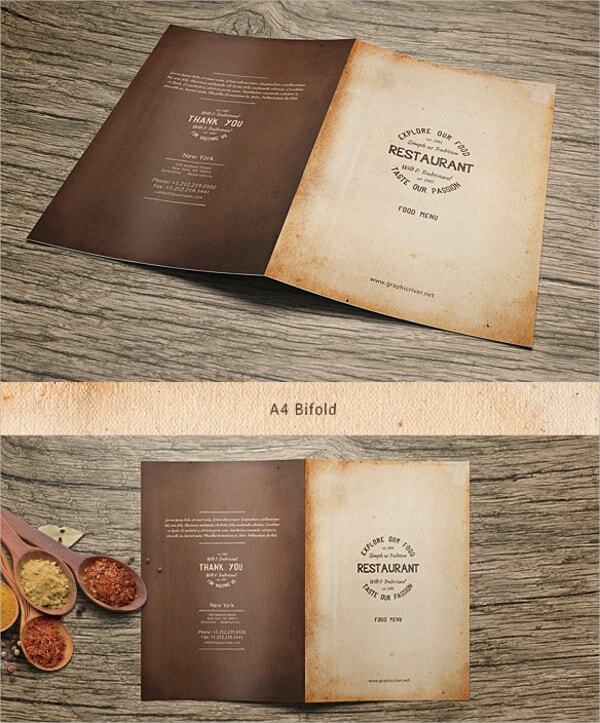 The Vintage Food menu package comes as a business card, eight bi-fold and six trifold A-4 sized pages. You can edit its PSD files, texts, colors, fonts and photos by using the smart objects. 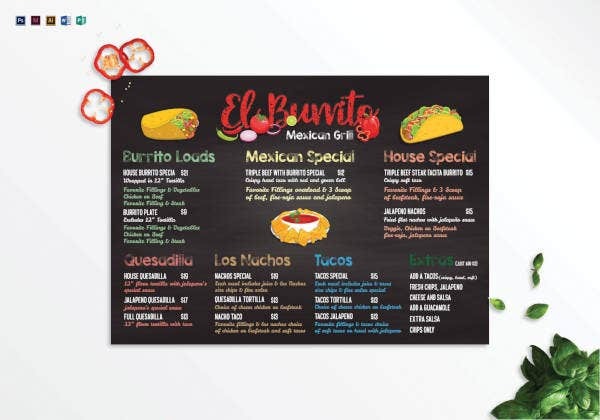 The Mexican Style Food Menu features easily editable EPS, AI and All files on Adobe CS3+. The layered and print ready A-4-trifold flyer & A-3 posters contains CMYK colors, 300 and 75 dpi. 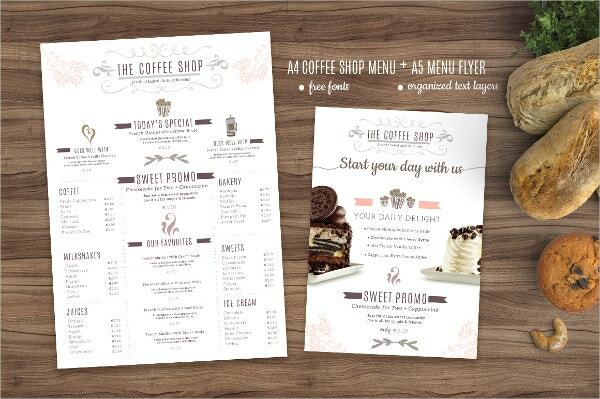 This restaurant menu template features ten A-4 sized pages that utilize MS word and Photoshop. You must download fonts to modify its colors, texts and fonts in its PDF and ZIP formats. 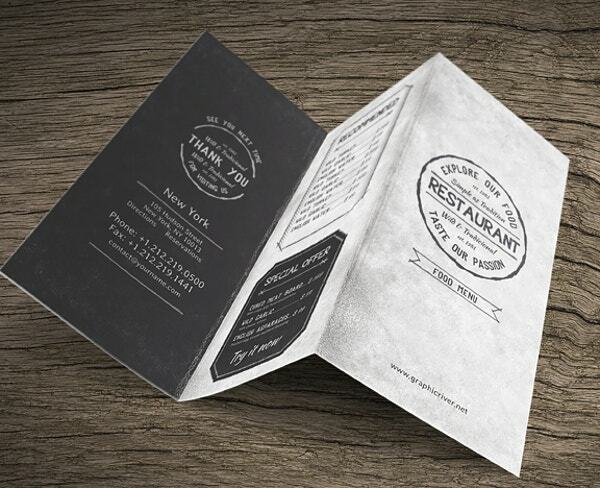 Old style menu pack prides in business card design and ten and six A-4 sized bi-fold and tri-fold pages. It features editable photos, texts, colors and fonts in vintage, grunge and sketch styles. 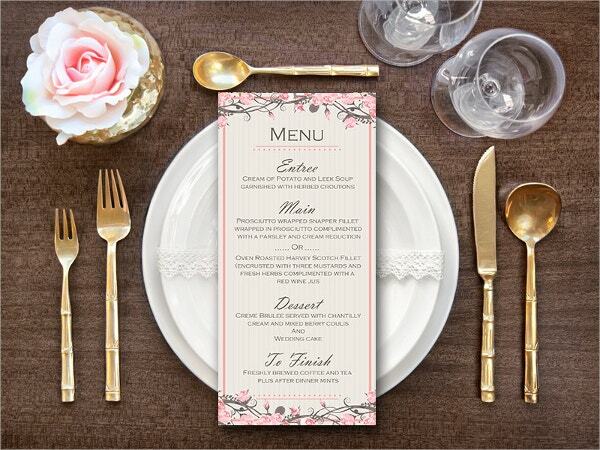 The pink wedding menu brags about personalization and customization of its print and digital designs. 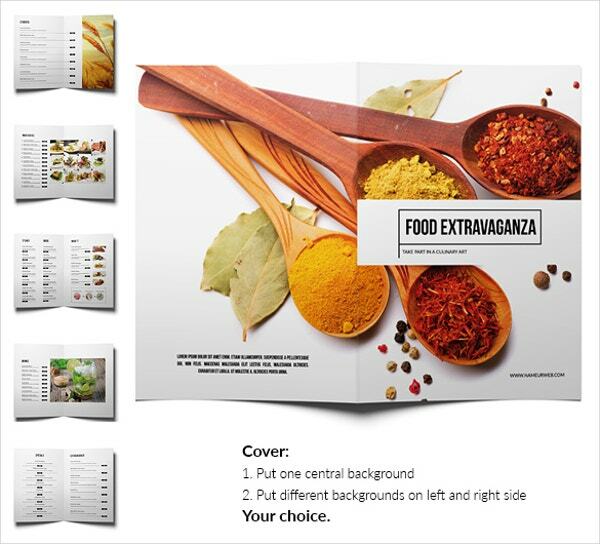 Simply download its JPEG or PDF formats to edit its main dish, dessert and entrance and exit meals. 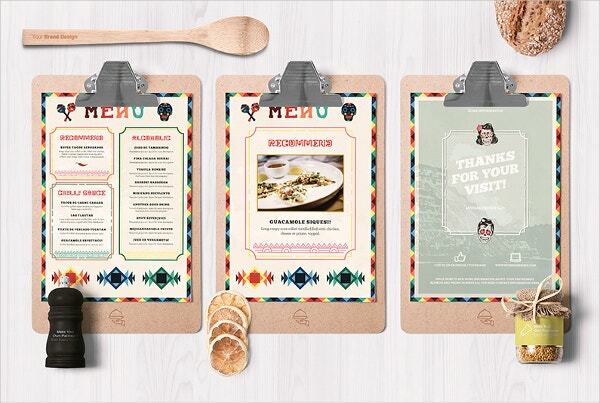 Finally, you should embrace the utility of menu templates. These professionally designed files are fully editable and customizable. Thus, they suit any event and you can reuse them for free of cost. Note that they vary in sizes, colors, shapes and even fonts. Therefore, you are certain of getting one that perfectly suits your needs. 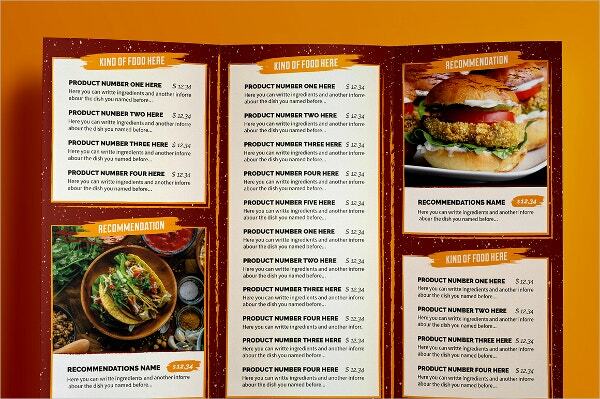 You can also See Takeaway Menu Templates.